REMINDER! All lecture proposals for the FGS 2013 Conference, “Journey Through Generations,” to be held August 21 – 24, 2013, in Fort Wayne, Indiana are due on Tuesday, May 15, 2012. 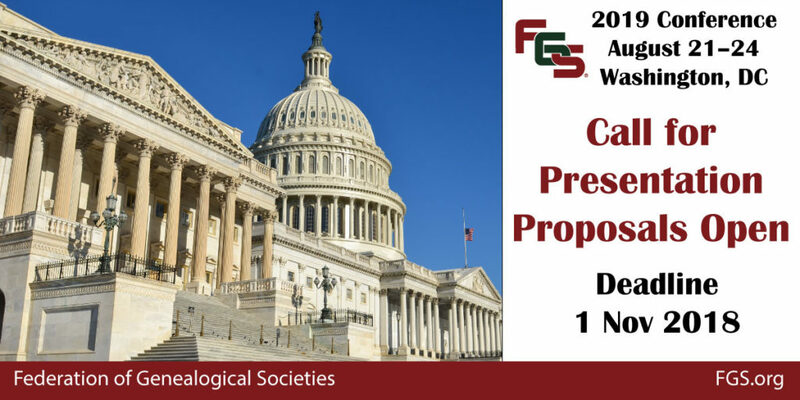 See 2013 FGS National Conference – Request for Lecture Proposals for details.